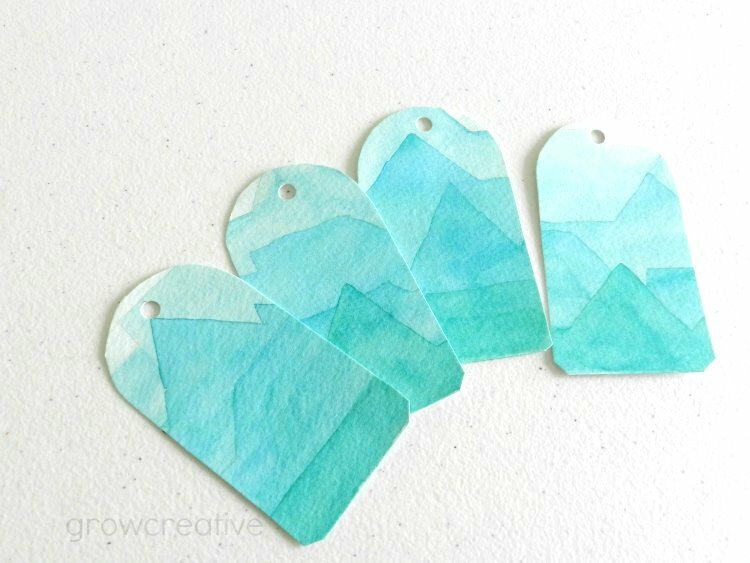 but I have this thing for recycling my watercolor experiments and mess-ups. I can't let all that amazing color and texture go to waste! I used a tag from a jacket I got for Christmas as a template. 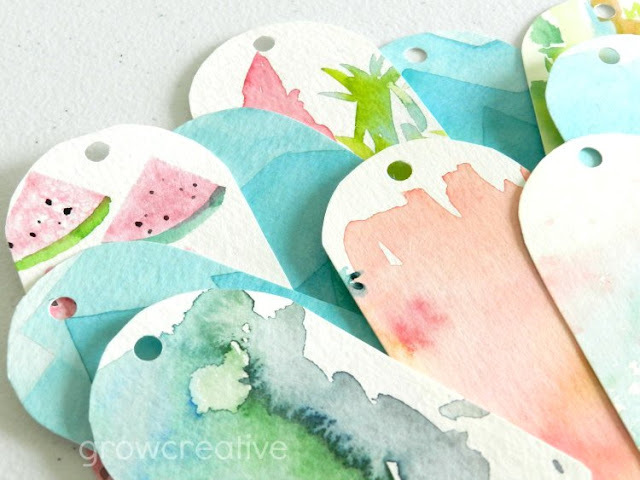 I traced, cut out, and hole-punched all those old watercolor experiments. 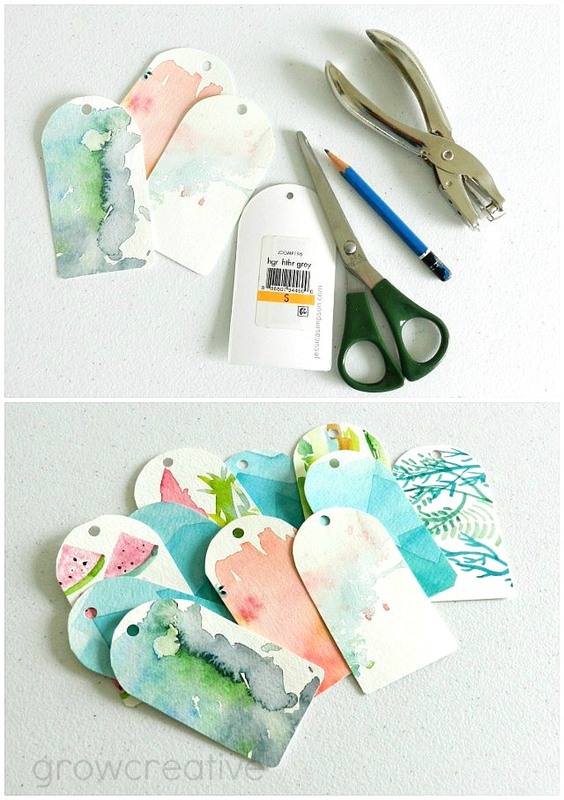 Now I'll have to wait for some birthdays to come around so I can use my thrifty gift tags! 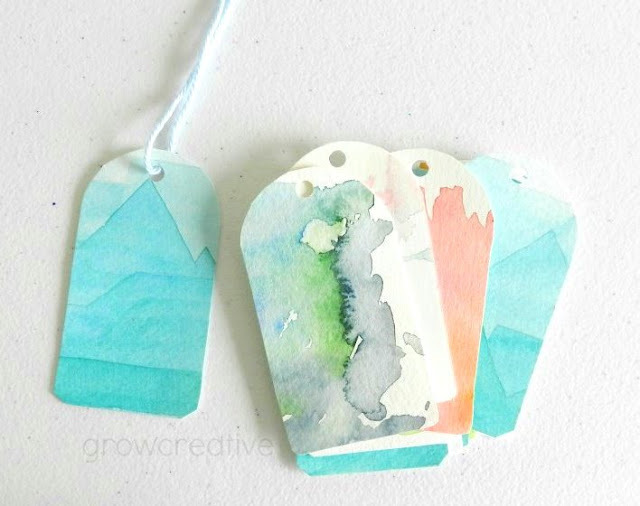 I find this project very appealing and i actually have the tag punch to make them. Thanks for a great crafting idea that can be shared with those we are giving gifts to. You're welcome Laura! Thanks for your thoughts. A tag punch would be so nice... gotta get me one of those! I love this Creative form of recycling. I HAVE to share it with my peeps.